Childhood is great. You get to take naps, have snacks, run around in your underwear. And you get to play with toys all day. Toys are important, because they teach kids valuable things like sharing, fine motor skills, and how to be responsible by putting away and cleaning up (my son is still learning this one). Apparently, some toys also teach children about gender. Aren’t they cute? 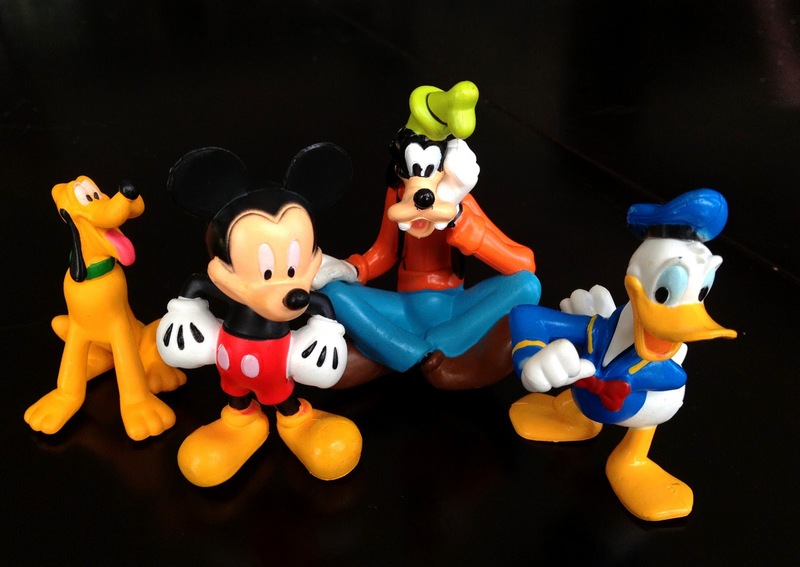 Who doesn’t love Mickey and the gang? Everyone is looking all dapper and happy. But wait a minute…where are Minnie and Daisy? Oh, here they are. The problem is, they are unable to stand up! 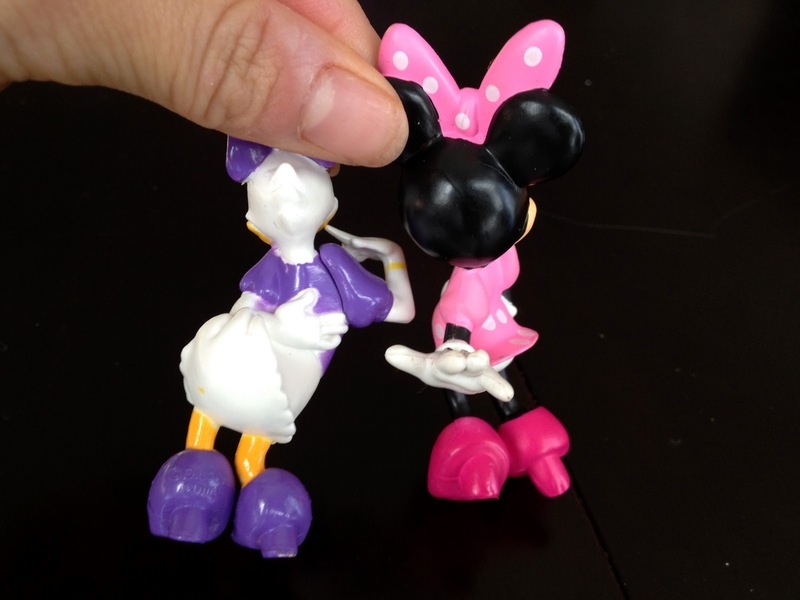 Both Minnie and Daisy are striking model poses and wearing high heeled shoes, so when you try to prop them up, they just fall right over. 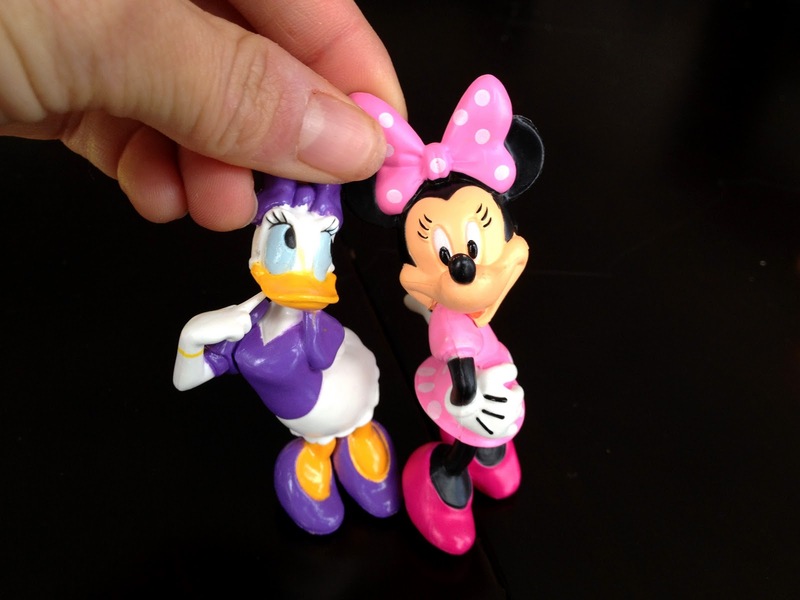 Did Minnie and Daisy go to charm school to learn to stand like this? Hands are dainty, one knee is bent, chests are prominently stuck out, and butts are being flaunted. While the ladies can’t stand on their own, they are able to lean on their men. 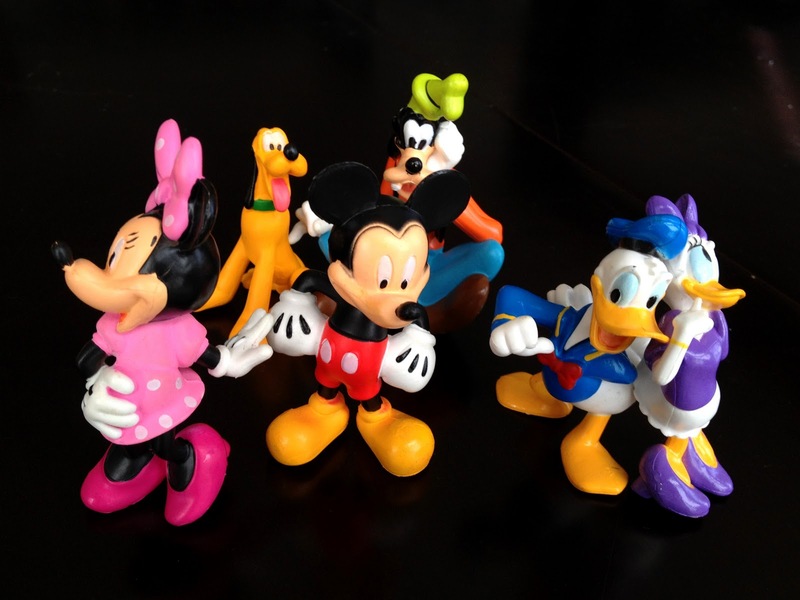 Mickey and Donald, the self-assured and independent males, lend a supportive arm to their gals. Boy, aren’t they lucky to have such lovely, delicate women to swoon over them. So here we are. The whole group of Disney friends, teaching us all about male & female identity. Thanks, Disney. I do realize these are just toys. Real life lessons need to be taught to our children through other means. And there will always be elements of our society and culture that I’ll need to help my children navigate. 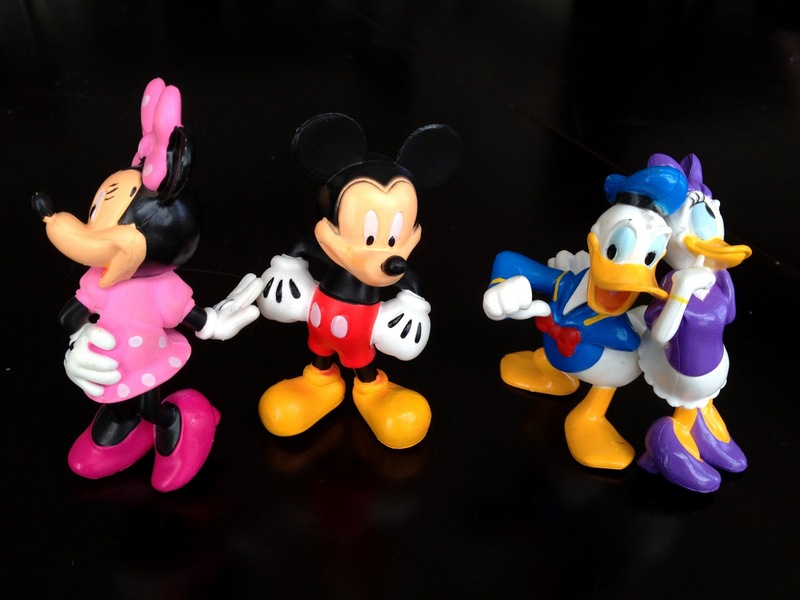 But still…I find it a bit disturbing what Disney toys are modeling to my two-year-old son about gender.